The John Mueller family on Emelia Mueller's wedding day, June 12, 1889. 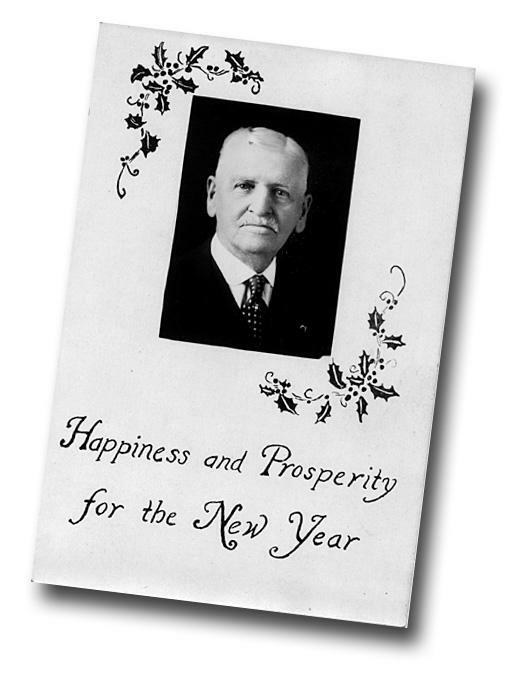 The history of Ford County, Kansas "Home of Stone"
Ham Bell's New Year card, circa 1935. FCHS, all rights reserved. 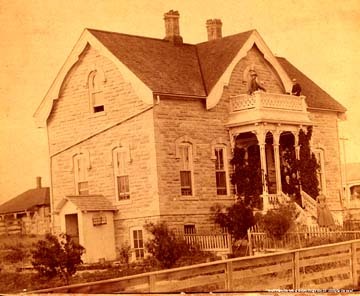 Front Street, Dodge City, c. 1879, looking west from Atchison, Topeka and Santa Fe train depot. 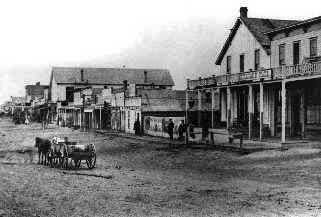 John Mueller's bootshop, the first in Dodge City, with black boot in front, is third building from right. Dodge House hotel is second. William B. 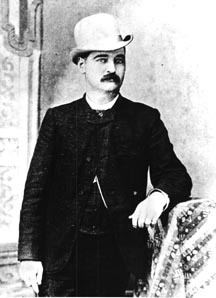 'Bat' Masterson, Ford County Sheriff and Dodge City citizen. All rights reserved, FCHS. "Ham Bell's Birthday Picnics," "Longest living Old West Frontier Marshall and Sheriff," , 1853 - 1947. Dodge City Peace Commission, June, 1883. 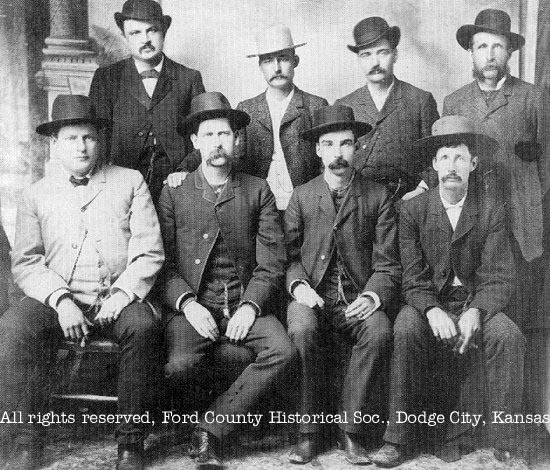 Wyatt Earp, front row, second from left. Bat Masterson, back row, third from left. FCHS Mission Statement a non-profit organization dedicated to the preservation of the history of Dodge City, Ford County, and the American West. Web site initial posting January 2002. Updated: 14 November 2017. 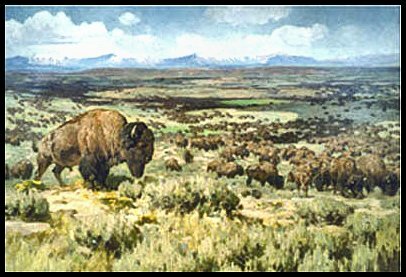 Site author: George Laughead, manager, WWW-VL: United States History Index. Site previously maintained on the Kansas State Library BlueSkyways site.